説明: The most comprehensive football ticket website offering tickets to the best football matches in Europe. 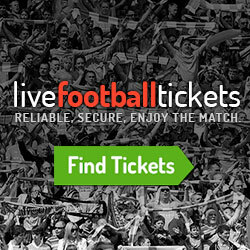 Find premium or hard-to-get England Barclaycard Premiership tickets, Champions League tickets, UEFA Cup (Europa League) tickets, FIFA World Cup tickets, Euro 2020 tickets, English FA Cup tickets, English Carling Cup tickets, Spanish La Liga tickets, Italian Serie A tickets, German Bundesliga tickets, Dutch Eredivisie tickets and many more.. LiveFootballTickets.com makes it safe and easy to find and buy tickets for any football (soccer) event throughout Europe. 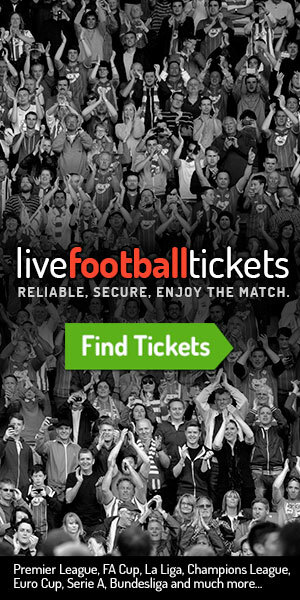 We work with ticket specialists from across Europe to provide the largest selection of football tickets for fans from Spain to Italy to the UK. We figure since we have the most tickets available, at the best prices, along with leading customer service and website security - then we should be able to serve you better than anyone else. 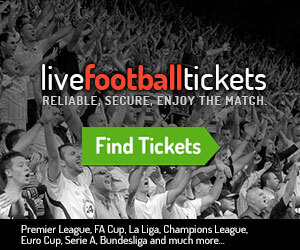 LiveFootballTickets.com makes it easy for you: selling, processing, and shipping orders; we will take care of all this. And, naturally, customers can refer to our customer service for all their questions. 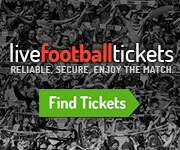 Earn up to 9.0% (gross) commission on each ticket sale - just display one of our banner ads on your site (or Blog) and every time someone clicks and buys a ticket you make money!Thank you for joining the LiveFootballTicket.com affiliate program. We look forward to working with you....now let´s sell some tickets and make some money! !